They now call themselves “Bouffes de Bru Zane,” and they are taking up the operetta torch at the Théâtre Marigny in Paris. 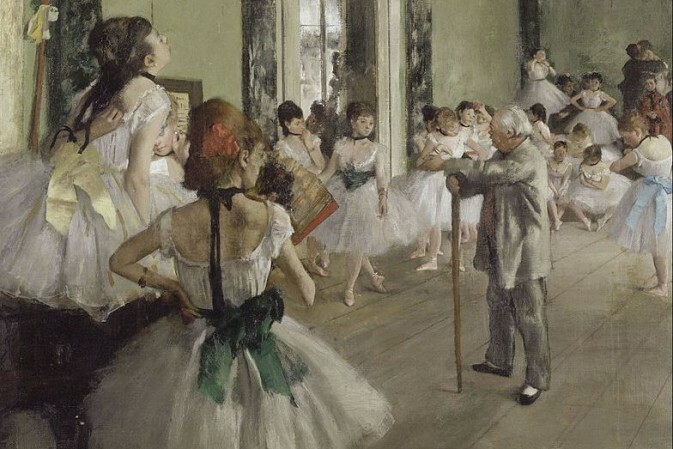 There, the French-Italian company will be in residence on the most splendid avenue in the world for four weekends, each featuring four to five operetta or rather opéra bouffe performances. These gems have finally come home to Paris “in a series of short, madcap productions which will entertain young and old alike!” That’s how the press release puts it. 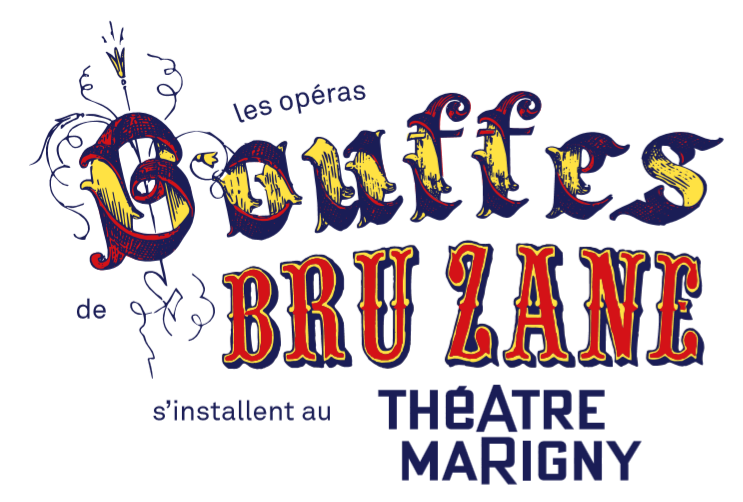 The logo for the “Bouffes Bru Zane” at Théâtre Marigny. 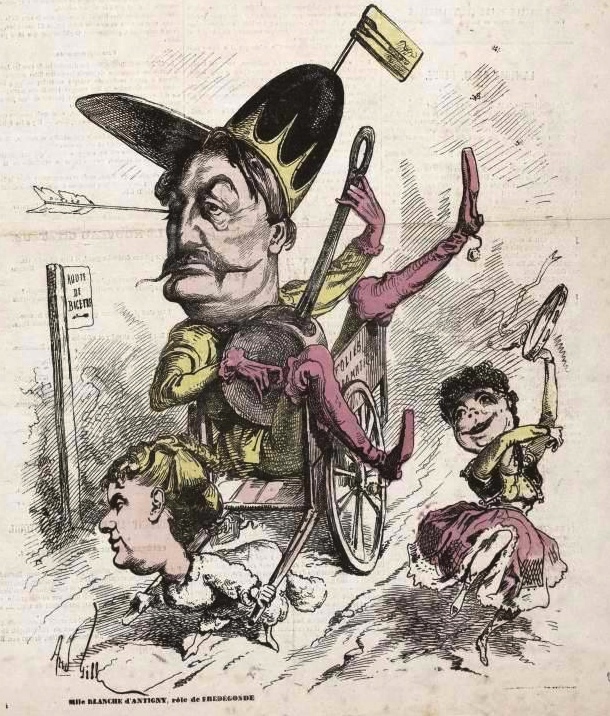 The cycle will kick off with two one-act bouffonneries musicales by Offenbach and Hervé who – past masters at circumventing constraints – could do a great deal with very little, leaving to the imagination anything they could not show as a result of ministerial bans. In March, Hervé will be on the bill again with Le Retour d’Ulysse, a one-act opéra-bouffe to a libretto by Édouard Montagne, which has moved quite a distance from Homer’s epic and brings together all the essential elements of light comedy. And the common thread linking the works in the third weekend is? 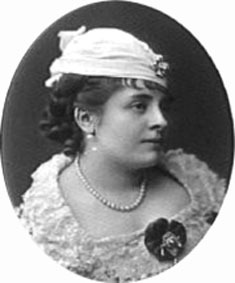 The matchless stage presence of soprano Anna Judic (1849-1911) for whom the Parisian theatres in the 1870s commissioned works showcasing her alone on stage in some highly comical situations. True forerunners of the “one woman show”, the operettas by Robert Planquette and Paul Henrion explore all the dramatic talents displayed by this star of the Parisian café-concert. Anna Judic, photographed by Nadar, 1875. 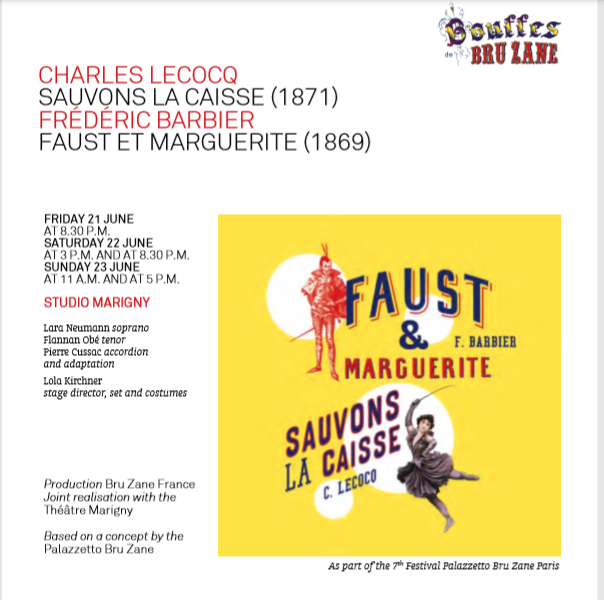 And, last but not least, some very colourful couples will have pride of place in June, in Faust et Marguerite by Frédéric Barbier and in Sauvons la caisse by Charles Lecocq. Advertisment for “Faust and Marguerite”. After touring for two years, Mam’zelle Nitouche will set down her suitcases in Paris for seven dates at the Théâtre Marigny as part of the Festival Palazzetto Bru Zane Paris. 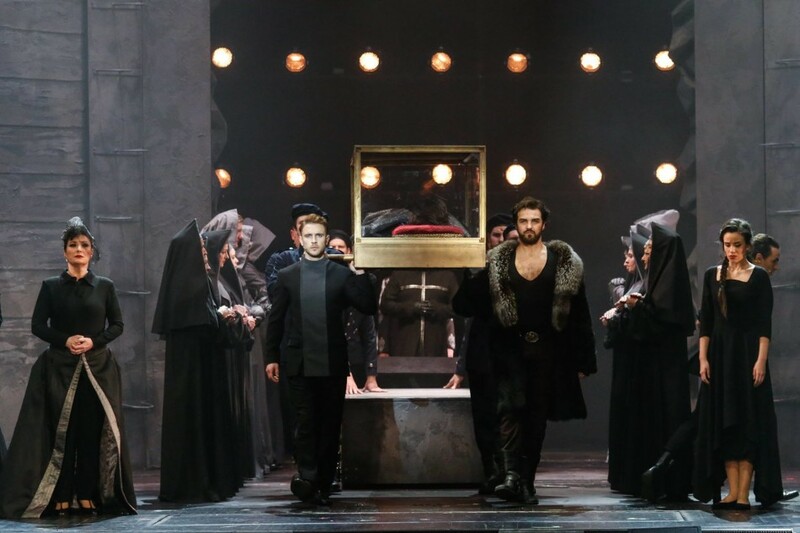 Lara Neumann will again meet Miss Knife – alias Olivier Py – as the Mother Superior in a production by Pierre-André Weitz. The work is a fusion of post-1870s comedy, the spirit of café-concert variety revues and the quick-fire rhythms of the spoken theatre of Labiche and Feydeau.